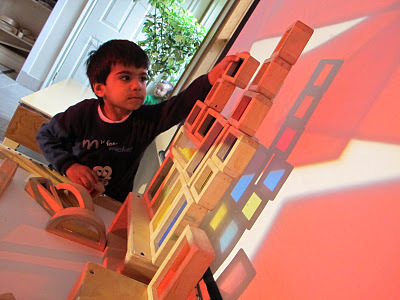 Inspired by our recent trip to the Reggio Light Play! 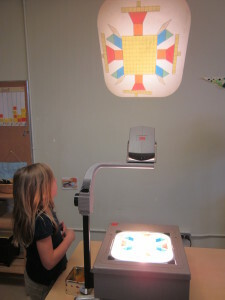 Exhibition, I have been even more desperate for an overhead projector for our play and learning at home. Lucky me! 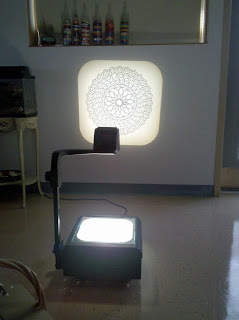 I have a teacher-friend who has managed to get me an old overhead projector (OHP) from her school as they are upgrading. 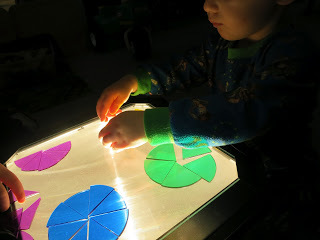 As a result, I have been looking for inspiration for overhead projector play! – What can we do with an OHP? 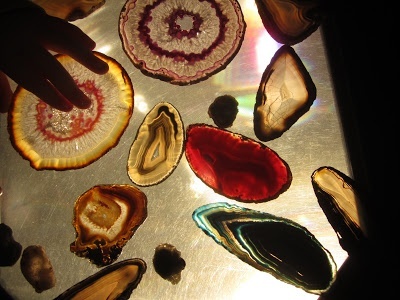 (especially things that we cannot do on our light table) and thought I should share my finds! 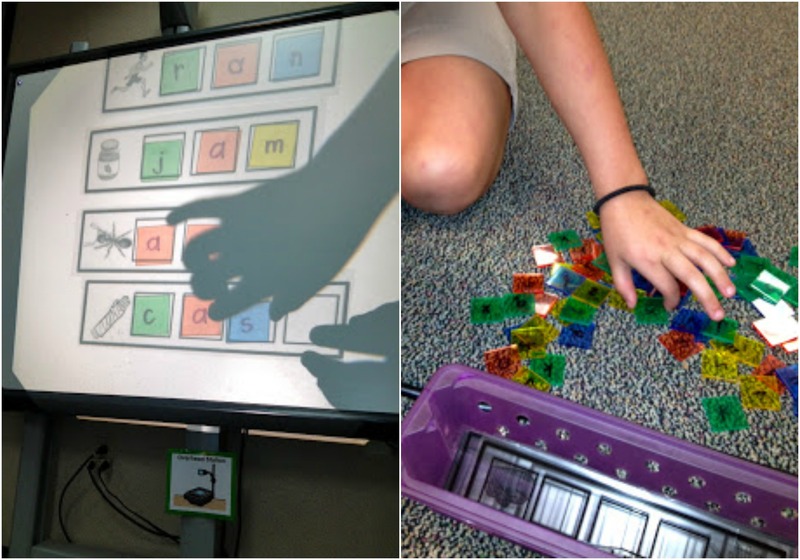 Creating activities with letter tiles. 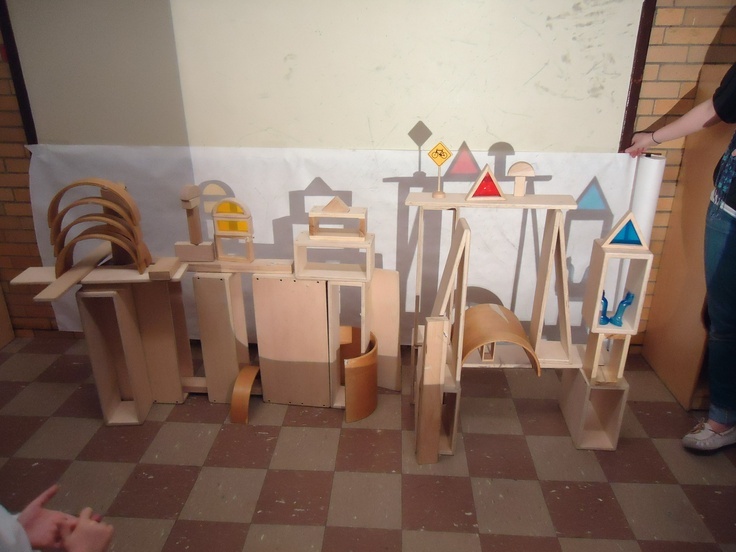 This could be adapted for numeracy and a form of Montessori-inspired moveable alphabet. 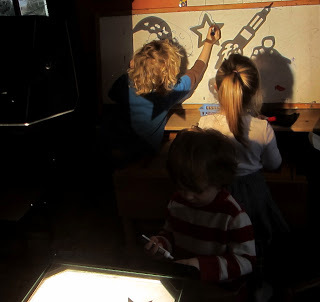 I think the added element of light and projection would make the activities more engaging. 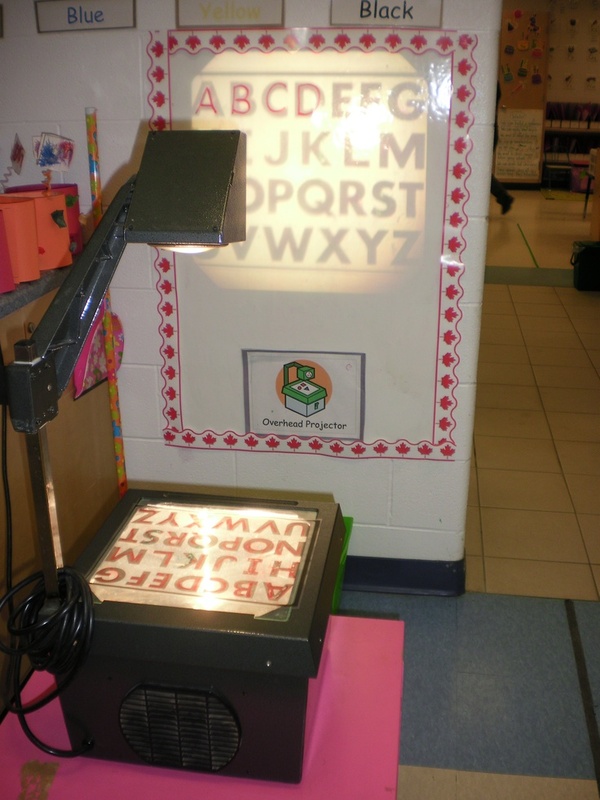 All kinds of transparencies (printable, diy, etc) can be used for letter recognition, letter tracing, and sight words. 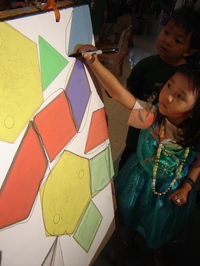 Matching and sorting: here they match shapes and sort colours. 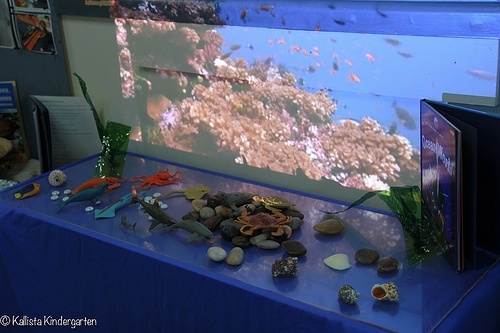 This could be adapted for any number of educational activities! Viewing x-ray images from a different perspective. 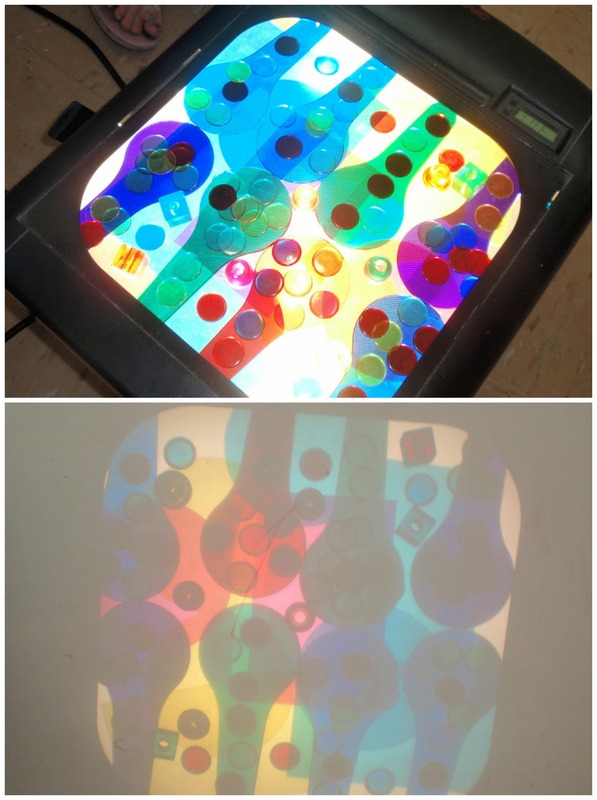 Also HERE is a great idea for DIY x-ray images. 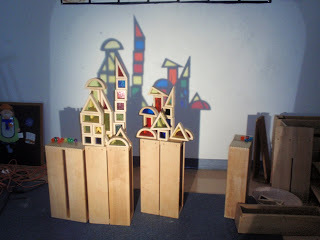 Block play with an overhead projector. 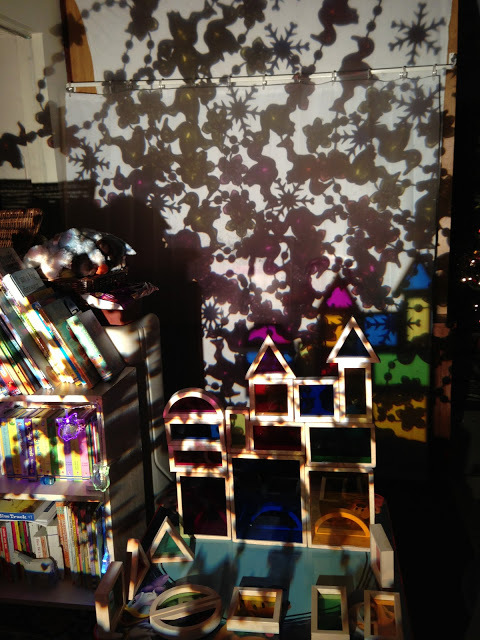 Projecting background images for imaginative play! How fun! 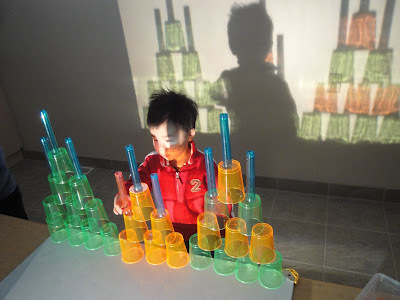 I am so excited to try some of these activities and extend our play and learning with light. I hope you saw something that inspired you! If you have any other ideas, please share below! You may find me linking up at these great sites! 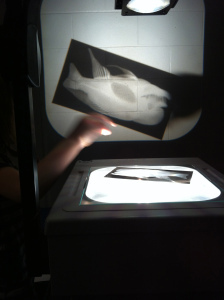 We went to a performance at Arts Centre Melb last weekend, and an overhead projector was a major prop. Cam and I were blown away by what they could do with it. 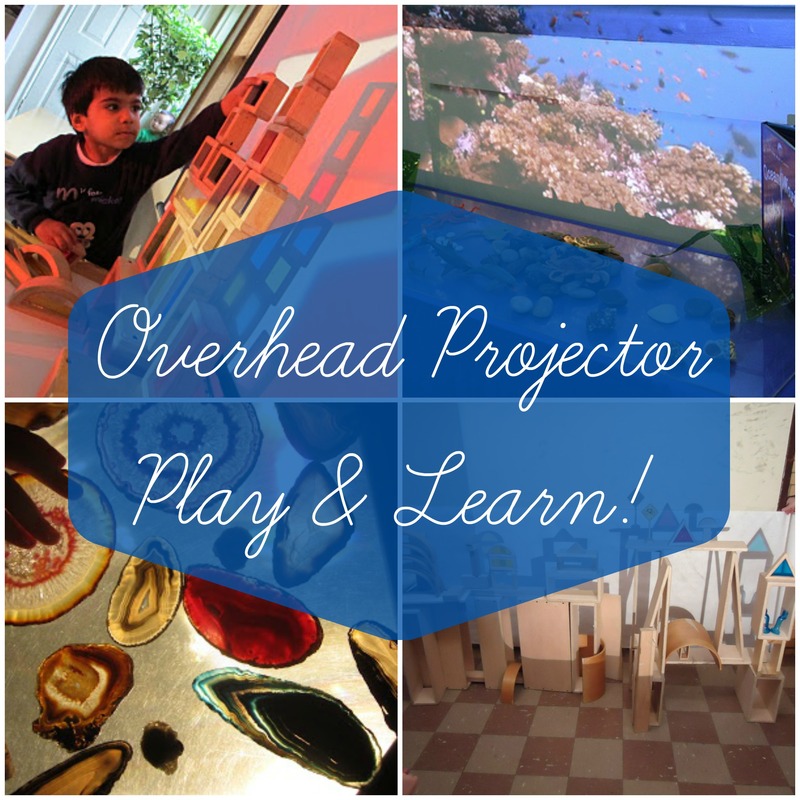 I am on the hunt for an OH projector. So fab! 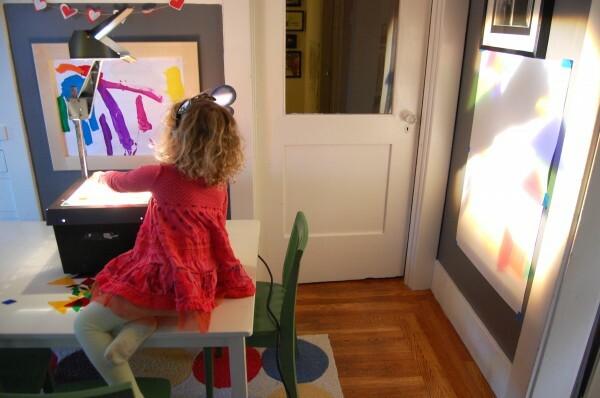 We haven’t used ours to its full capability yet- I LOVE the idea of creating backgrounds for play and all the art possibilities! Awesome post! Wow!! SCORE — what a wonderful set of ideas — I need to ask my mom about this — she is a teacher and they are always upgrading — I love all of these ideas. Oh these ideas are great! I loved having an OHP when I was a teacher. I particularly liked being able to use it to draw a large version of book characters! Thanks for linking to The Sunday Showcase. I’ve pinned to our boards. 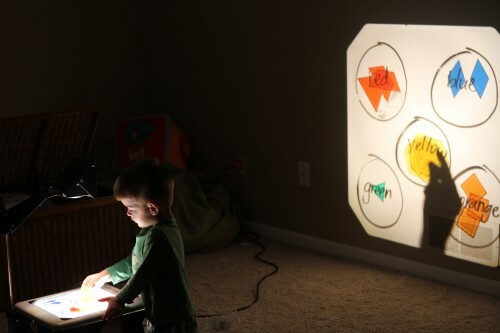 The actual technology of an overhead projector is very basic (mirrors and light), so you could make your own (that in itself would be another fabulous activity for older child). I love this! 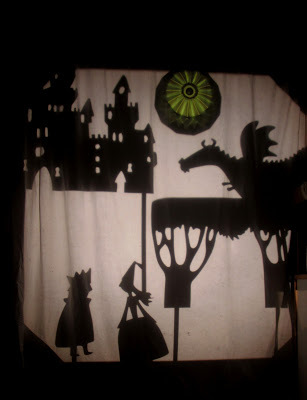 I really need to get a hold of an old projector! 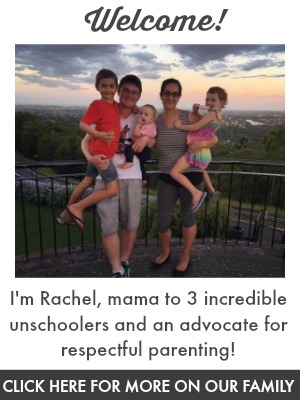 I’d love if you’d share at the After School Linky. We’ll be picking our favorites on Saturday and sharing on Monday. Many of our posts get shared on our After School board (50,000+ followers). 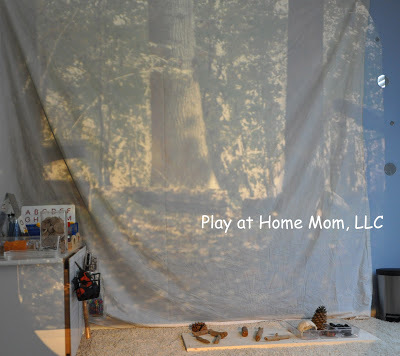 If you’d like to link up, you can visit The Measured Mom and see my post for Monday. Hope to see you there! 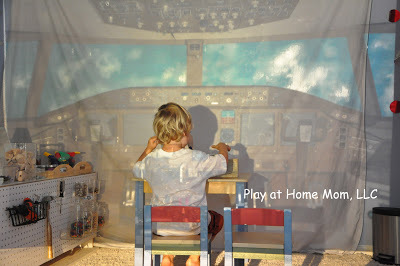 How did they project different play scenes like forest and airplane?